Happy Tuesday, readers! 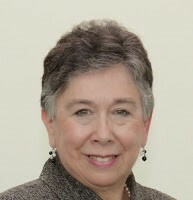 Today’s special Inclusion Lab guest is Kathleen McClaskey of Personalize Learning, an organization dedicated to empowering learners with the tools and strategies they need to become self-directed and self-motivated. Kathleen is here to share a compelling personal story about the child who sparked her passion for personalized learning—and on Thursday, she’ll be back with another post on using the UDL lens to discover the learner in every child. 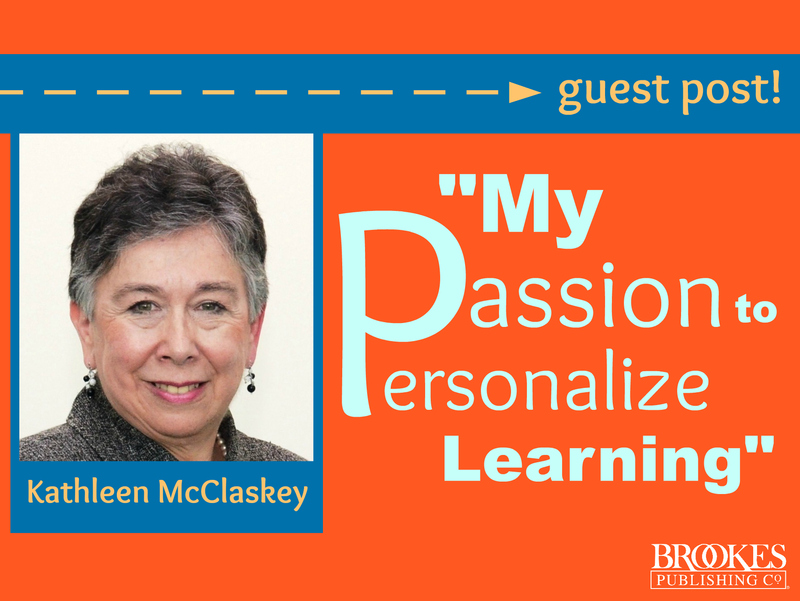 This is my story behind my passion, beliefs, and commitment to personalize learning. I am passionate about learners and learning, and I believe that every child on the planet is a learner! I am committed to helping schools create learning environments where every child can become a lifelong learner and realize their hopes and dreams. You could say that I’m on a mission. But why has personalized learning become my passion and mission in my life? There is a very personal story that begins over 36 years ago when a little boy came into my life: my first-born son. My son was an active toddler who spoke early and could engage you in long conversations about his imaginary world. He had a sense of adventure when he explored the outdoors and could create new worlds in his drawings. Early on he had a love for animals, fishing, and books about history. He entered school with all of these wonderful qualities and a love for learning and discovery. His experience as a first grader was a difficult one, with his teacher using the whole language method for reading. Before the end of first grade, he was identified as having learning disabilities. Although he was exceptional in math, this gift–along with his other aspirations, talents and interests–would never be recognized. After he received his “label,” his teachers now saw him as learning disabled in all aspects of his learning. In second grade, he came home crying every day, asking me why he was different. I called a friend who was the guidance counselor in the school my son attended. She observed him for 30 minutes one day in his class and took minute-to-minute notes of his activity in the classroom. She shared with me that my son could keep pencil to paper for only 30 seconds at any time. It was no wonder he saw himself as different, but I thought that this must have a name. It did. In 1987, my son’s pediatrician, who had extensive professional experience with children with attentional issues, verified through evaluations that my first born had ADHD. This was another label that he would be identified with every day at school. It was in second grade that my son stopped being a learner. He would now have instructional aides who would read to him, write for him, and organize him in his daily tasks. The reason I am telling this story is that although my son had an IEP and annual goals, he was never taught how to read or develop independent learning skills. His exceptional memory skills for words helped him mask his inability to decode words. In seventh grade, that strategy fell apart. We needed to find an answer, so we hired an independent evaluator who conducted a battery of tests and finally applied the appropriate identification of his reading challenges: dyslexia. With this new identification came extensive recommendations on how to rehabilitate my son in reading. It was not until he was in ninth grade that the school district decided they could not provide the services to help him read, so they agreed to an out-of-district placement. We sent him to a private school for students with dyslexia, 200 miles away from our home in New York, so he could finally learn to read. His teachers used the Orton-Gillingham reading methodology, and in less than six months, he was reading at grade level. In 1998, he graduated from The Kildonan School with a high school diploma. Years later, when my son was 22 years old, we had a discussion about what he experienced in school and how he felt. This is something he never spoke about during his years in school, as he was often depressed and angry. His response was brief and to the point: “You know Mom, I felt stupid every day of my life in school!” After this moment, I knew that I would be on a mission for the rest of my life to help schools and teachers understand how to create learning environments where every learner can become self-directed in learning. My passion is built into my heart, my belief that every learner matters is resolute, and my commitment to transform education so that every learner realizes their hopes and dreams is unwavering. I look back now on this experience with my son and know that he is one of virtually millions of children who stop seeing themselves as learners and often feel stupid in school. So how do we begin to discover the learner in every child? Most importantly, how do we have every learner understand how they learn best? You decide. With labels or through the UDL lens of Access, Engage, and Express? Thank you to Kathleen for being here and sharing her story–and her infectious passion for creating learning environments where every child succeeds. On Thursday, Kathleen will be back with a post about the “UDL lens” she mentions in her last paragraph. Using her son as an example, she’ll walk us through how the UDL lens of Access, Engage, and Express could have helped him succeed in school and overcome learning challenges. Stay tuned! Universal Design for Learning is a registered trademark of CAST, Inc. Access, Engage, and Express is a trademark of Personalize Learning, LLC. This post originally appeared in a slightly modified form on the Personalize Learning blog.